The human mind has an amazing ability to learn, mold and even retrain itself, but only if you know how to drive it. 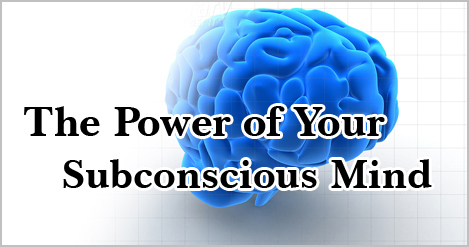 Read on to know more about your subconscious and the conscious mind, the concepts and their difference. You will also see how the former actually rules the thoughts you think and the life you live. Put simply, your sub conscious mind is the driving force behind your conscious mind. In fact, the sub conscious mind is often termed as the ‘autopilot’ behind your conscious mind. It is where your mind stacks away all its memories, experiences and perceptions long after your conscious mind has forgotten them. From here come the feelings and notions that rule your conscious self, behavior and mindset. Both, the conscious and subconscious mind have their own roles to perform. The key to success and fulfillment in life lies in being able to effectively combine the powers of both. With conscious effort and insight, you can learn how your subconscious mind works and how you can drive the same to lead a happier life.